French River Cruises - Vive la France! A cruise on the rivers of France will show you the features typical of France that you appreciate so much: picturesque natural scenes, impressive culture and the particular charm of the French way of life. 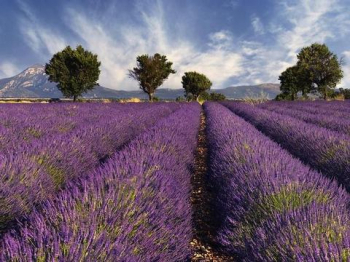 You will be able to discover a European landscape with a wealth of cultural masterpieces, along with lush vineyards, impressive towns and the scent of lavender. Three rivers - Rhône, Seine, and Saône - are available to you. A French River Cruise can include parts of the country which are very different in nature: the Saône flows for about 480 kilometres through eastern France, the Seine bisects northern France and the Rhône discharges into the Mediterranean after a journey of some 812 kilometres through the south of the country. Depending on your choice of cruise, the best time to go ranges from the spring months to early autumn. The rivers of France are perfect for discovering some of the country&apos;s most famous cities. The most significant city on the Seine is of course the French capital, Paris, with the Eiffel Tower, the Louvre, the basilica of Sacré-Coeur and the Arc de Triomphe. Or you can visit Le Havre, home of France&apos;s second-largest port. The Rhône River Cruise will bring you to France&apos;s third-largest city, Lyon, where you can admire the medieval old town, "Vieux Lyon", which was declared a World Cultural Heritage site by UNESCO in 1998. Highlights of this city include the architectural masterpiece which is the "Opéra national de Lyon". Avignon is also on the Rhône. This city in the southern French region of Provence boasts an impressive landmark - the gigantic Papal Palace. If you should decide on a cruise on the river Saône, the largest city in the wine-growing region of Burgundy, Chalon-sur-Saône, will be on the itinerary. The imposing cathedral of St. Vincent and the well-preserved old town are worth visiting. The charming city of Mâcon is also on the route of the Saône River Cruise. It was founded in the 3rd century BC and occupies an idyllic position in the heart of the Mâconnais wine-growing region. Come on a French River Cruise and you can look forward to historic monuments, French charm and blooming landscapes. Imposing cities and a wealth of interesting cultural monuments join with breathtaking mountain ranges, lush greenery and picturesque vineyards in an blend of culture, unspoilt and pristine nature, and possibilities for recreation. A French River Cruise is a journey of the senses.